In case you’ve been living under a rock this past year and a bit, ever since industry great Georges Kern took hold of the reins at Breitling, the big, bold brand of the skies has undergone a serious streamlining. Finding inspiration in their past and releasing focused collections that encompass four separate categories: air, sea, land, and professional. 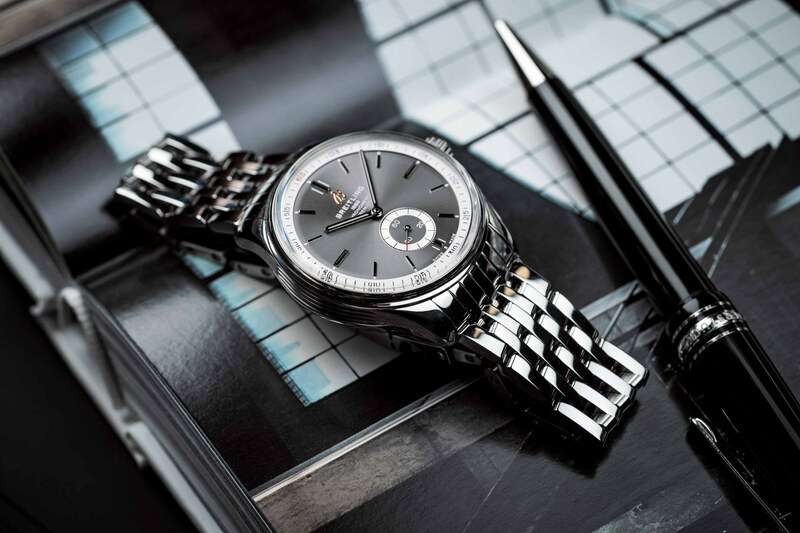 The latest addition to the revamped catalogue is the land-based Premier Collection, which not only reflects the design of Breitling’s first truly elegant watch – released in the 1940s – but also takes on its name. 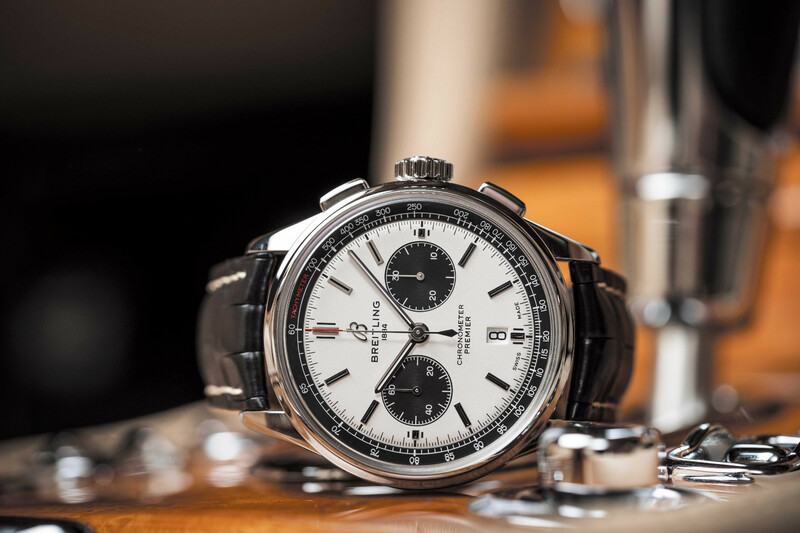 Home to four models, plus one special Breitling for Bentley chronograph, the collection starts with a duo of simple yet debonair three-handers. 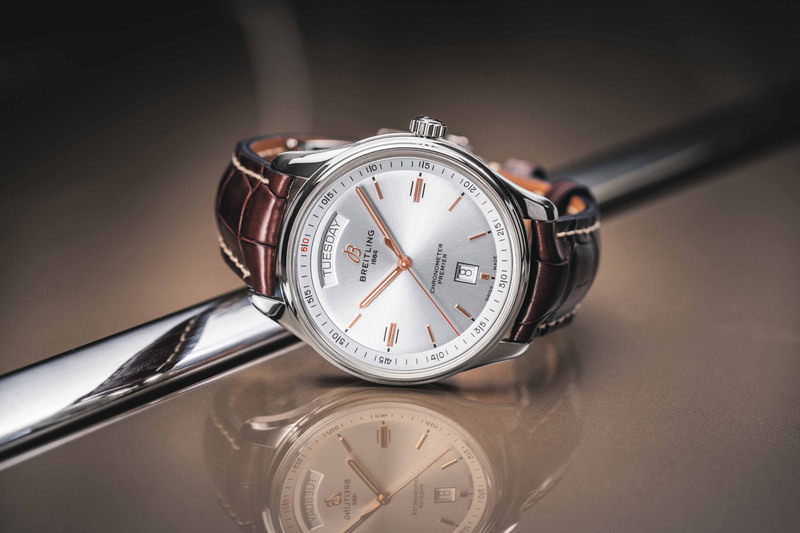 The Premier Automatic 40, a time-only model with small seconds subdial, and the Premier Automatic Day & Date 40, a slightly more complicated model with central seconds and a day/date display. Both feature 40mm cases and a water-resistance of 100 metres. Naturally, there’s also a pair of chronographs, with one powered by the brand’s impressive B01 column wheel chronograph movement and the other containing the venerable Valjoux 7750. While both use very similarly sized 42mm cases – varying only slightly in their thickness – all you have to do to tell them apart is look at their dials. The in-house Premier B01 Chronograph 42 utilises a bi-compax layout, with silver or blue dials serving as a backdrop for alternately coloured black subdials, while the standard Premier Chronograph 42 opts for the classic 6, 9, 12 layout of the Valjoux 7750, in either all black or blue. Let’s not forget the Breitling Premier B01 Chronograph made for Bentley. 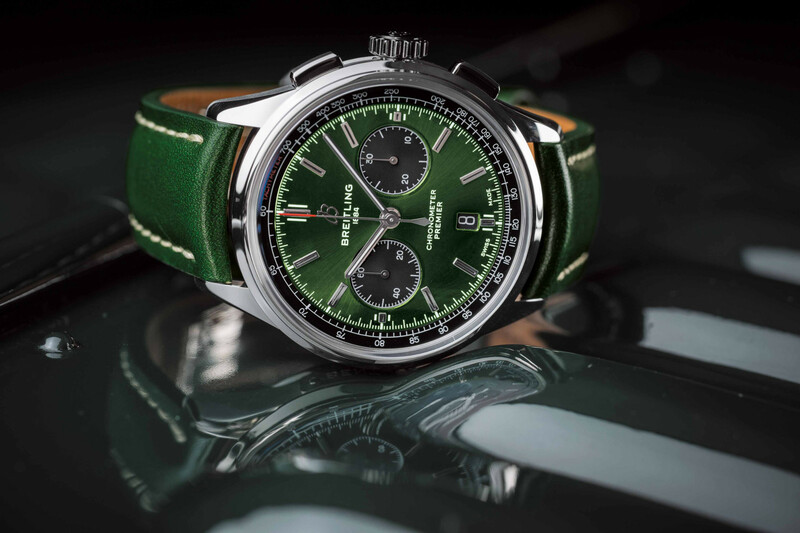 Using the Premier B01 Chronograph as its base, it introduces a British racing green dial to the mix, as well as an engraved plaque inscribed with the name Bentley on its side. Each and every model also comes with either a choice of a nubuck or alligator leather strap in various colours, or a stainless-steel bracelet. And all movements are adjusted to COSC standards and chronometer certified. Ensuring a precise, as well as an extremely elegant, return for Breitling’s Premier Collection.